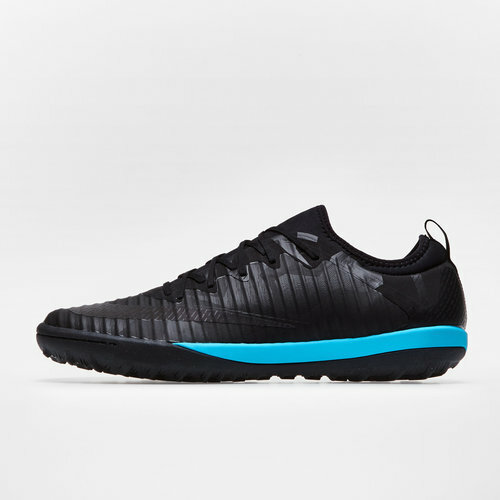 For more control over the game to give yourself the upper hand in small sided matches, equip yourself with these MercurialX Finale II Special Edition Turf Football Trainers in an eye-catching Black and Gamma Blue from Nike. 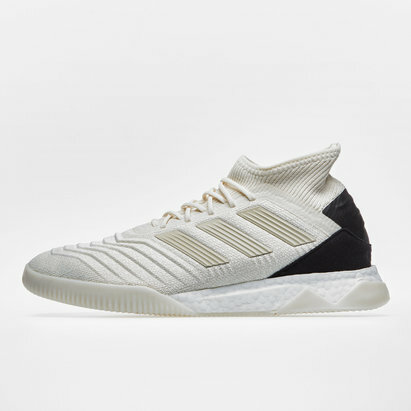 fresh from the Nike Ice pack, these trainers come inspired from the MercurialX Finale, a few new features have been introduced to improve the design of the previous model and enhance your playing experience. One of these changes is the inclusion of a tongueless upper that features a low-cut sock like fit that can be slipped into easily, especially with the help of an added heel tab. 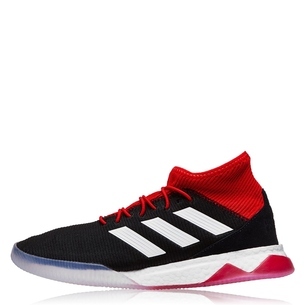 In addition to this is a ridged upper that features raised stripes that are more for aesthetic purposes than technical. 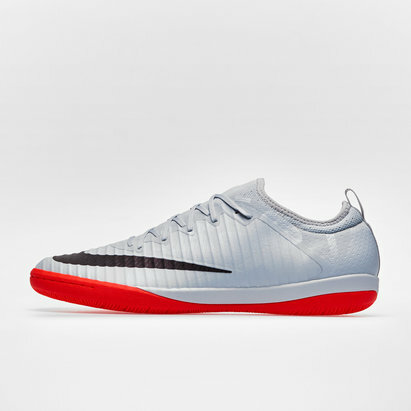 Optimised for play on turf pitches, these Nike trainers have an outsole that's adapted to provide maximum traction, leading to faster changes in direction and acceleration without slipping up when it matters most. 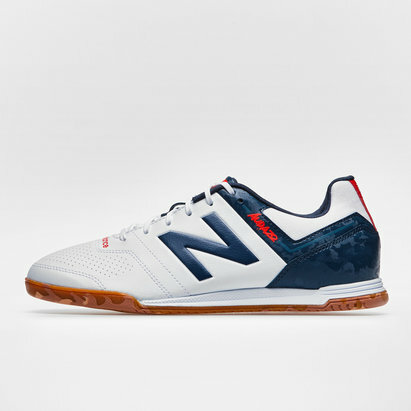 In addition to its stability boosting benefits, the sole is also non-marking. Comfortable, stylish and ideal for enhancing your game on small-sided turf pitches, make sure not to miss out on the Nike MercurialX Finale II Special Edition Turf Football Trainers.